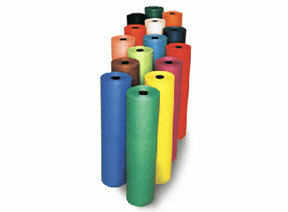 We offer the widest range in the world in coloured Parchment as the final layer on textile tubes. Of the various demands made on the precision of the tubes, those related to the surface characteristics of the tube are met by using Parchment as the final layer on these tubes. This Parchment is coloured, has high resistance to abrasion, heat and penetration by oils – all being essential for suitable service to this critical application. The colours help in identification of various yarn-related parameters like denier, merge number etc. Our paper is available in a wide range of attractive, bleed-free colours. Another range of PATTERNS (like stripes / dots / rectangles / stars) is also available. 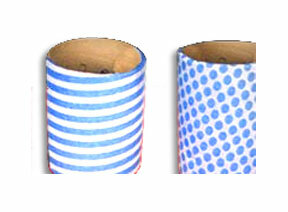 In a unique process, these patterns are incorporated within the paper fibre itself. This makes the patterns bleed-free and highly resistant to removal by abrasion. The patterns are available in multiple grammages, on white as well as on coloured backgrounds. These add up to make our range of uniquely identifiable top-layers truly world-beating.